New generation of hand pumps for all kind of infletable products. Innovative solutions grant high efficiency, easy-use and comfort. Double/single action to minimize human effort. 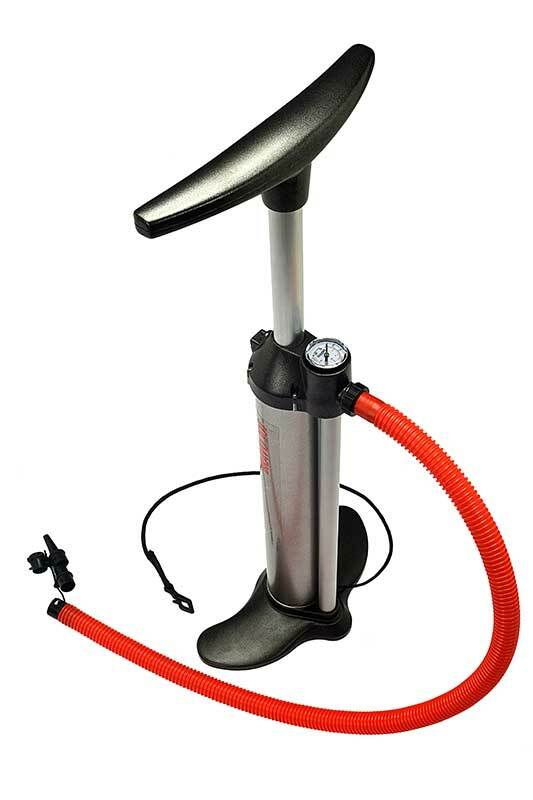 Bravo Nwe hand pump design allows to inflate faster and with less effort tahn any other pump in the market thanks to the unique architecture. Ergonomic handle. Enlarged base for maximum stability. Built in pressure gauge. Inlfation port on pump body (no hose kinking). Protective filter. Inflation fittings available for all most common valves.